Family members of one of Cuba's most vocal government critics Oswaldo Payá, who died in a car crash on Sunday, said they believe his death was not an accident. 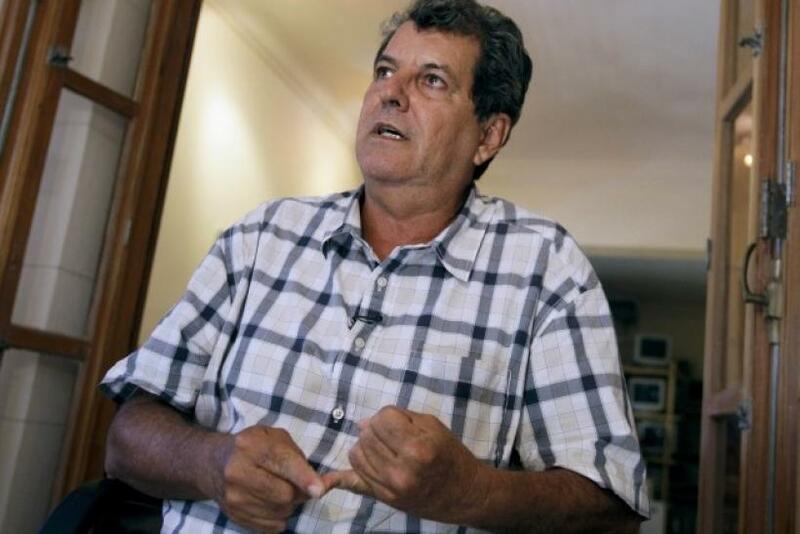 Payá, one of the most prominent Cuban pro-democracy campaigners and a long-standing opponent of the Castro dynasty, died of injuries after the driver of his rental car lost control and struck a tree. He was 60. Fellow Cuban democracy activist Harold Cepero was also killed, while the remaining passengers - one Swede and one Spaniard - escaped with minor injuries. The Swedish politician Aron Modig, the current chair of the Christian Democrats youth wing (KDU), and Spanish citizen Angel Carromero Barrios have left the hospital after treatment. Payá's death was announced by Cuban blogger Yoani Sanchez, and was later confirmed by his wife Ofelia Acevedo. Payá's daughter Rosa María Payá said her father's car was deliberately rammed in an attempt to take it off the road. There was a car trying to take them off the road, crashing into them at every moment. So we think it's not an accident,'' she told the Spanish service of CNN. They wanted to do harm and they ended up killing my father. Payá's son reiterated his sister's suspicion when he told BBC that his father's car was driven off the road deliberately. The Cuban government, however, denied foul play in a statement on Sunday citing eye witnesses, according to a report in the Swedish media. Payá's funeral will be held on Tuesday at the Colon Cemetery in Havana. Payá rose to prominence as the top organizer of the Varela Project which sought to propose amendments to Cuban laws to contain rights recognized by the constitution but were not fulfilled, including freedom of speech and assembly. The Varela Project, which collected 25,000 signatures in favor of a referendum on laws, is considered the biggest nonviolent campaign against the political order established after the 1959 Cuban revolution. Payá won the Sakharov Prize in 2002 for his work with the Varela project. The Cuban government criticized him as a U.S. agent who was working to undermine the Cuban administration and political order. However, he was not associated with Cuban opposition groups based in the U.S. and was often criticized by Castro's opponents as being too moderate. With the death of Oswaldo Payá (1952 - 2012), Cuba has suffered a dramatic loss for its present and an irreplaceable loss for its future, Sanchez, Cuba's internationally recognized youth activist and blogger wrote. His tenacity shone forth since I was a teenager, when he chose not to hide the scapulars - as so many others did - and instead publicly acknowledged his faith. In 1988 his civic responsibility was forged in the founding of the Christian Liberation Movement, and years later in the initiative known as the Varela Project, she wrote. I never saw him break down, or yell, or insult his political opponents. The great lesson he left us is his equanimity, pacifism, putting ethics above differences, the conviction that through civic action and through legal action, an inclusive Cuba is closer to us, she wrote.